What is the meaning of life? Why are we here? Is there a purpose to our existence? Is there even an answer? Jesus gave His followers rather clear answers through three parables: the Parable of the Minas, the Parable of the Talents, and the Parable of the Shrewd Manager. They describe why we are on Earth; how God wants us to see our time, talents, and treasures; and the relationship between the earthly existence and the afterlife. The hidden messages are surprising and should change Christians’ perspectives on life forever. The understanding of the meaning of life should also bring much comfort, strength, and motivation to all Christians facing adversity. 1) The acquisition of an ISBN so this book can be sold in stores and many other channels. Est. cost: $300. I’m putting this on my credit card for now. 2) Printing of the first batch. Cost depends on the quantity needed. I’m still in the process of getting some quotes. Est. cost: $1,500 - $2,500 for 1,000 to 3,000 copies. The more I raise, the more I can print and the per-unit cost would come down. But I can’t commit to a quantity without knowing how much I can put into it. 3) Postage and supplies needed to ship some copies to influencers, financial supporters (like you), media. Est. cost: whatever remains available after printing. 4) Advertising through Google AdWords and/or Amazon. Est. cost: whatever remains available after printing a reasonable amount. 5) Copyright? Got it already. 6) Applying for non-profit status. If this book sees success in fundraising and distribution, I’ll spend the time and money to set up a non-profit company and direct all earnings to the translation of the book into other languages. Est. cost: $1,000. But this is probably not going to happen for a while. I plan to charge whatever is economically sustainable and reasonable to keep the project going, but my primary objective will always be maximum distribution. I learned that making something free is not the best way to get it out. It needs to be on the proper distribution channels and with the power of marketing behind it. This book will be published both as an eBook and as a physical book. 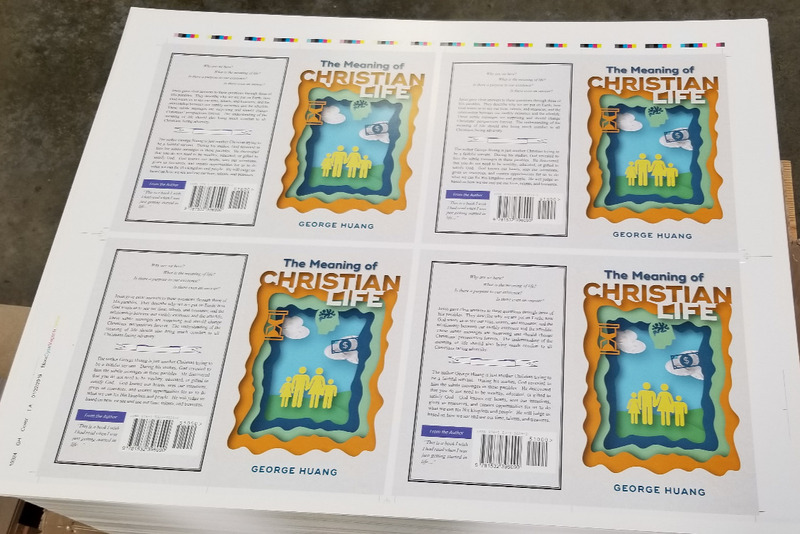 The eBook and the corresponding website ( http://meaning.ofchristian.life) will include the names of the supporters whose contribution help bring the physical book to reality. The physical book would direct readers to the website instead of having the names of the supporters printed since I cannot update the printed books continuously. Contributors have the option to not be mentioned. 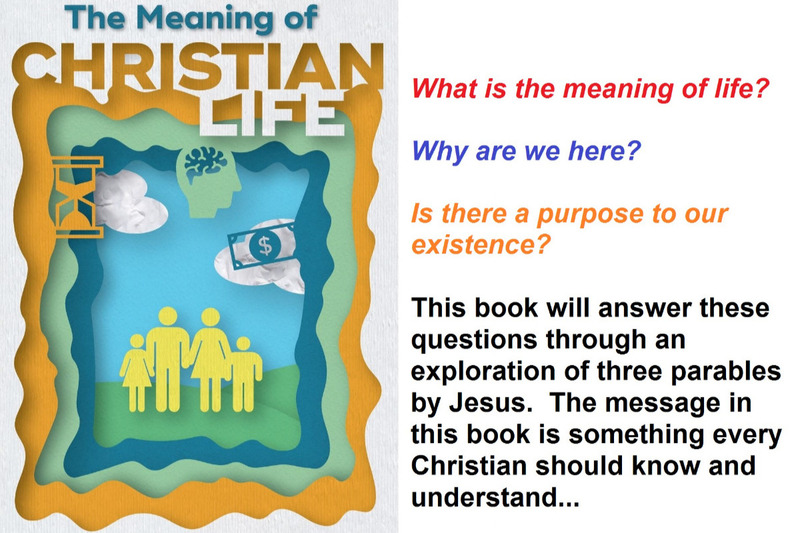 The website http://meaning.ofchristian.life will also host free materials for group discussions and sermons. I have preached sermons based on what’s in this book, and I will create better Powerpoint presentations for others to use in sermons and group discussions. Right now the Powerpoint presentations I have are bilingual – in English and Chinese. We will continue to raise funds to help spread the message and translate the book into other languages. If you are interested in being more involved with this effort, please e-mail me via GoFundMe. Thank you for your financial support, prayers, and efforts to publicize this book. GoFundMe asks for tips from you to make the platform available. That money goes to GoFundMe, not me. You can set your own amount at the bottom of the list of percentages if you want to tip them. You do not have to give the amount they suggested. They already charge me the payment processing fee of $0.30 + 2.9% which goes to cover their credit card processing fees. This book is especially good for youth and those in prison. I'm working to get these to college groups and prison ministries. If you are involved in these ministries, please contact me and I'll send you free copies. Donors: this is what your donations are being used for.. The book has been printed! I'll pick them up today. I re-wrote a big portion of it so it’s now much easier to read. I’m also working on a movie script based on that book to try to reach more people. The books are being printed now! Yay!